+ It’s a wearable color. Although it’s still an “alternative” shade (since no one’s hair is naturally pink) it is not as flamboyant or “out there” as shades like blue, green or purple. It’s closer to a brown/red so you could get away with it in more conservative environments. It’s also a good starter color if you want to get into pastel or fantasy hair dyes. + It’s flattering on many skintones. Rose gold has a warm undertone. Cool tones are a bit more difficult to wear. 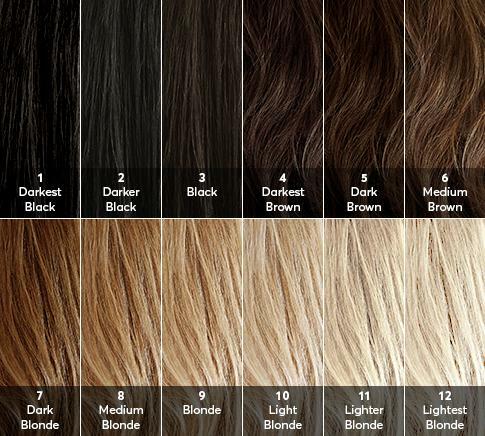 + You hair does not need to be too light or platinum (white blonde). When it comes to pastel shades, your hair needs to be bleached to an almost white blonde so that the color shows up true to,b formula. Also, if you’re going for cooler tones, you can’t have any yellow or brassiness in your hair or the color will turn out warmer/different/yellower (think about traditional color theory and the color wheel). When trying to achieve rose gold, your hair doesn’t need to be bleached to a really light blonde because the yellow base in your hair will help the pink dye turn warmer and rosier (orange undertone) as opposed to plain pink. This means it’s less damaging on your hair, easier to achieve, and cheaper. 01. Prep your hair. Unless your a natural medium to light blonde, you’ll probably need to bleach it. You need to be around an 8 or 7 or lighter. Since you don’t need to bleach to a pale blonde, you can achieve it in one sitting (one bleach application, one day, just leave the bleach on for the maximum allotted time according to the bleach and developer you are using. It’s usually around 40 minutes). I used the SalonCare PrismLites Lightener in Violet. 02. In order to get a smoother color transition (if you’re doing a dip dye like me instead of a full head of color), I like to apply a darker shade near the roots. For the top of my hair I used Manic Panic Vampire Red. 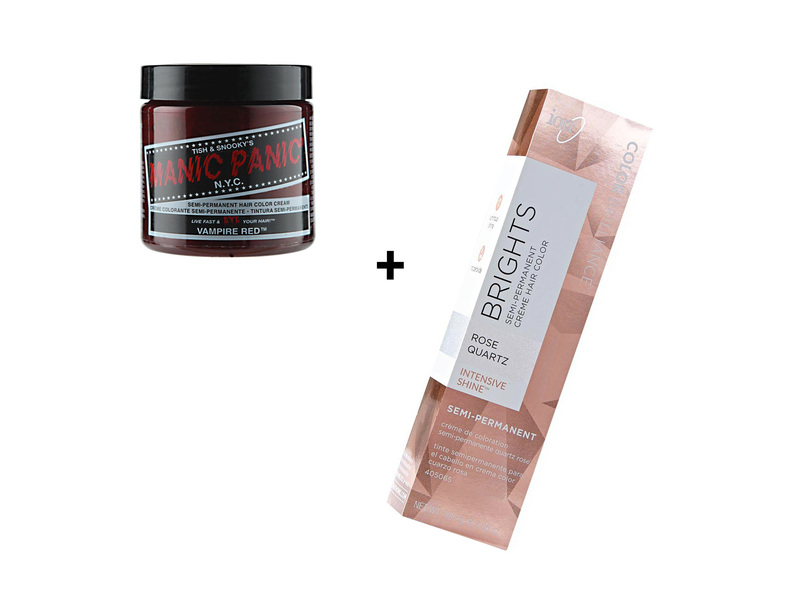 I used very little, it was only to blend my dark roots with the rose gold. To achieve the mauve/rose gold color on the bottom, I mixed ion Semi Permanent Hair Color in Rose Quartz with conditioner to achieve a lighter pastel tone. 03. When doing light colors like this, I suggest leaving the dye on as long as possible so it can penetrate your hair well. Apply it, wrap your hair with a plastic bag or something and take a nap or watch a movie. Seriously, I’ve gone to bed with dye on. The longer you leave it on the better. And if you’re doing a pastel shade and have mixed it with conditioner, it acts as a hydrating hair mask. Have fun and don’t be afraid to experiment! I wanted to make this post to try and help out anyone else who likes tinkering with their hair using Sally’s Beauty Supply products. I know a lot of their products, particularly the ion brand, have really misleading swatches and packaging. What you see is not what you get which is why I prefer Manic Panic’s transparent packaging. So I thought it’d be helpful to put some real result pictures online. Thanks, Amanda! <3 The tips are a great way to start. If it goes wrong you can just cut them off. Your hair looks gorgeous here!! I would absolutely love to try this colour with my blonde hair – I always feel like I should be more experimental whilst it's lighter! You look gorgeous! I don't think I can do this myself… I only do one-colour dye and that'st it! Oof that rose gold is perfect on you!! The shade you had your hair looks incredible! I've always wanted to try pastel hair colours because I think they look super pretty, but I have really dark brown hair and I always felt like it would be too much work to bleach it to a stage where pastel colours would stick and actually work. I also never thought about how much easier it might be to go with a warmer colour over a cooler one, but it makes so much sense since my hair tries to pull red as it is, if you added a warm reddish pink dye over the top it would be a lot easier to get the colour you're after than if you're trying for something ashy and cool toned.